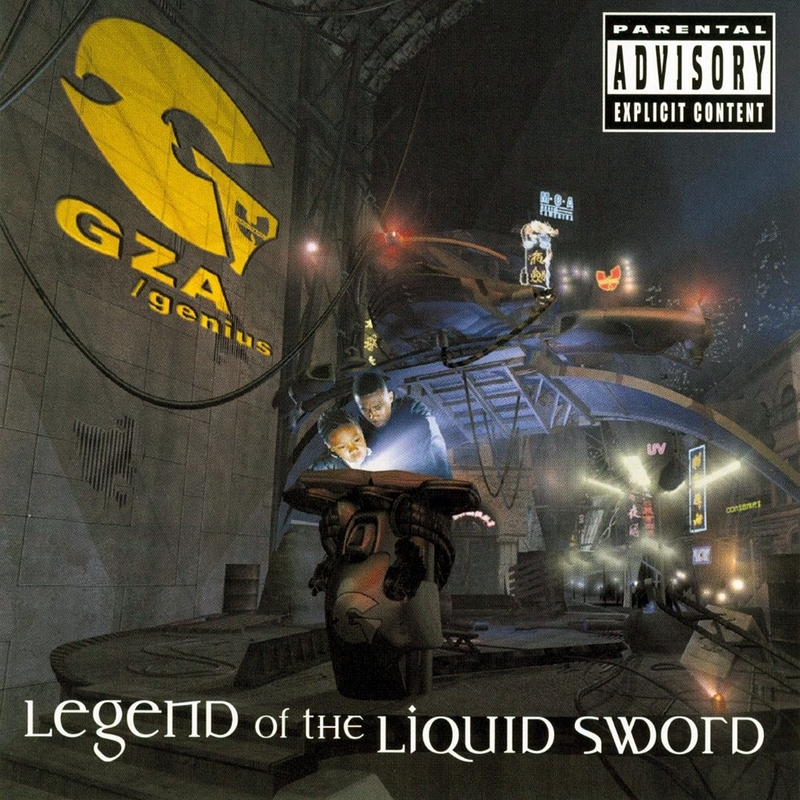 Released at the end of a quiet year for the Wu-Tang family, GZA's Legend of the Liquid Sword proves Gary Grice is easily the most underrated rapper in the fold, and definitely the most consistent as a solo artist. The album gains power as it progresses; after a compelling "Auto Bio" that's chained down by a bland production, and "Did Ya Say That," wherein the Genius sounds downright confused (or worse, resigned) about the game of label politics, Legend of the Liquid Sword locks into a great groove with the single "Knock, Knock" and rarely misses after that. Unsurprisingly, the Wu-Tang features "Fam (Members Only)," featuring RZA and Masta Killa, and "Silent," featuring Ghostface Killah, are big highlights, with a sound similar to 2001's Iron Flag. Surprisingly, though, his track with low-profile Wu-Tang member Inspectah Deck bests the other two. "Fame" finds the Genius weaving some clever word games around celebrity names, and guest Allen Anthony makes the title track into a grand funk jam akin to OutKast. The productions on Legend of the Liquid Sword are below average for a talent like his, but chances are good that's by design; since GZA is a rapper's rapper, his smooth flow and excellent imagination are all that's necessary to propel any of these tracks. This is the clean version of the album. Even though the cover posted states its the explicit version. My copy is a misprint. Several of my uploads are misprints. Some of my DJ Quik uploads for example, are misprints and feature the wrong covers. It happens sometimes.